Thought to be extinct Giant Tortoise is discovered in Ecuador. JB- Sorry folks, this stuff just interests me. A copy of one of the endemic giant turtle species of the Ecuadorian archipelago of Galápagos, considered extinct a century ago, was found on an expedition on Fernandina Island , Environment Minister Marcelo Mata announced on Tuesday, February 19 . “On Fernandina Island – # Galápagos, the expedition led by @parquegalapagos and @SaveGalapagos, located a specimen (adult female) of the turtle species Chelonoidis Phantasticus, which was believed to be extinct more than 100 years ago, ” the official said. of your Twitter account. 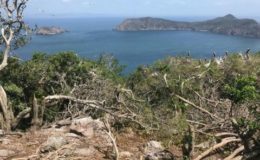 Mata did not offer more details of the turtle’s discovery by personnel from the Galapagos National Park (PNG) and the US-based Galapagos Conservancy , which supports the preservation of the enchanted islands in the Ecuadorian Pacific. The Chelonoidis phantasticus , typical of Fernandina Island, is one of the 15 species of giant tortoises of the Galápagos, of which the specimens of Chelonoidis spp (Santa Fe Island) and abigdoni (Pinta) have already disappeared. In 2015, Ecuador announced the discovery of a new species of turtle in the archipelago, known for its unique flora and fauna in the world. The variety was called Chelonoidis donfaustoi, in honor of Fausto Llerena , who cared for ‘Solitario George’, the last of Chelonoidis abigdoni. ‘George’, emblem of the insular province located 1,000 km off the coast of Ecuador and named after the giant Galapagos tortoises, died in 2012 after refusing to mate in captivity with females of related subspecies. 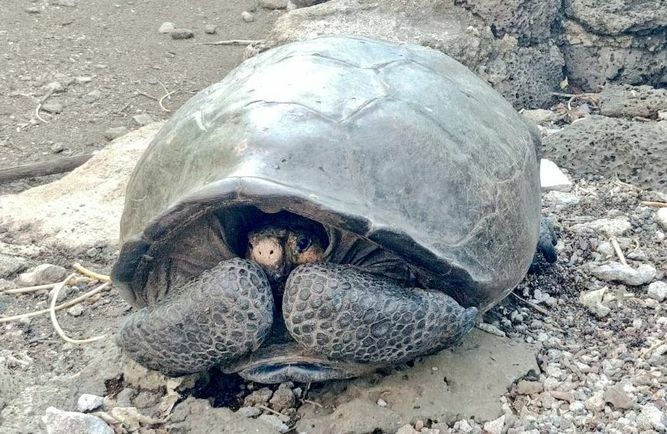 However, scientists have found hybrids with genes from that vanished variety, so the Galapagos National Park (PNG) plans to repopulate Pinta Island with non-pure turtles of the species of ‘George’, who died of “old age” (it is estimated that he was 90 years old). 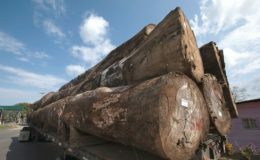 DARIEN LOGGING: More than just a regional issue. Panama LOSES AGAIN.